In the WannabeUs collection, Jet Lag took part in the “100×100 tobeus” exhibition that took place from 5 December 2012 to 13 January 2013 at the MOST in Milan. 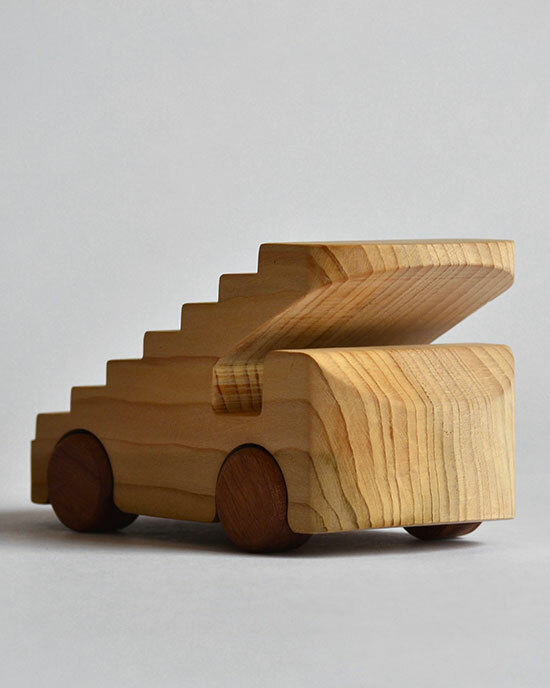 Tobeus cars are made of cedar wood: aromatic, beautiful, natural. 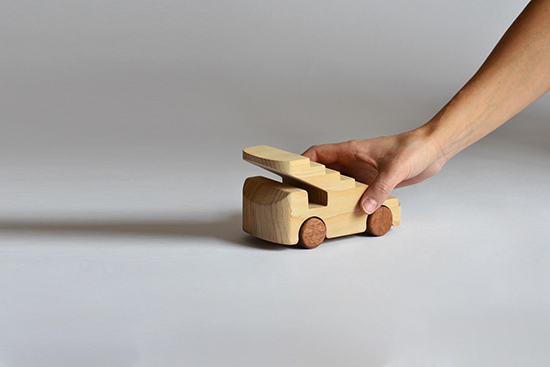 An ecological toy: strong, simple. 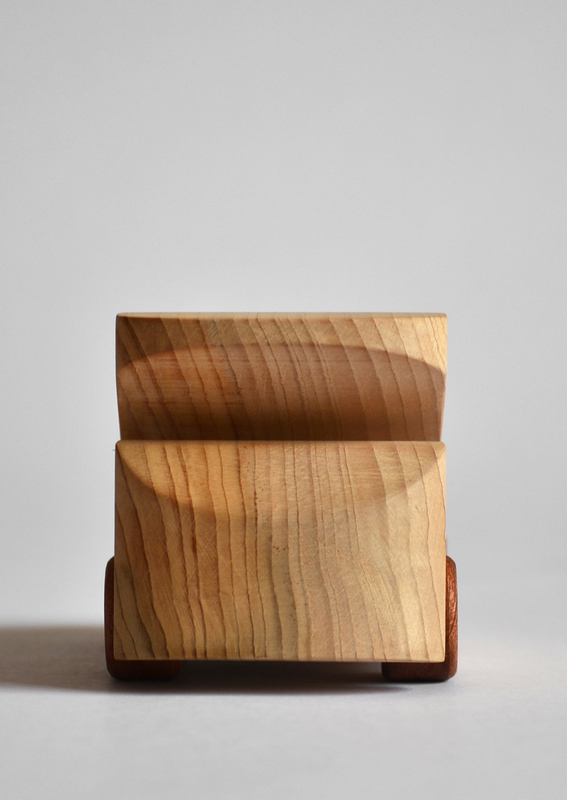 Meant to be durable: respect, reuse, sustainability. 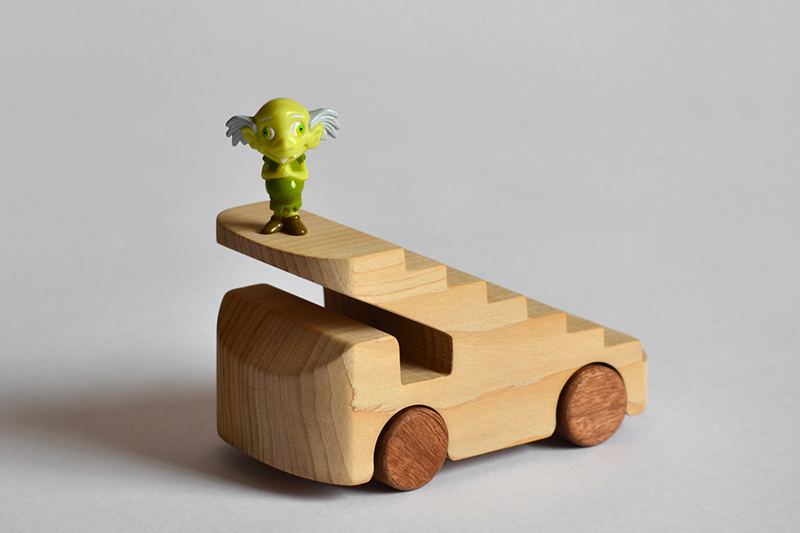 All the products of Tobeus are designed following strict rules by many designers all around the world and are handmade and manufactured in Brianza by Mastro Giovanni. Jet Lag is a vehicle that permits the boarding of an aircraft. 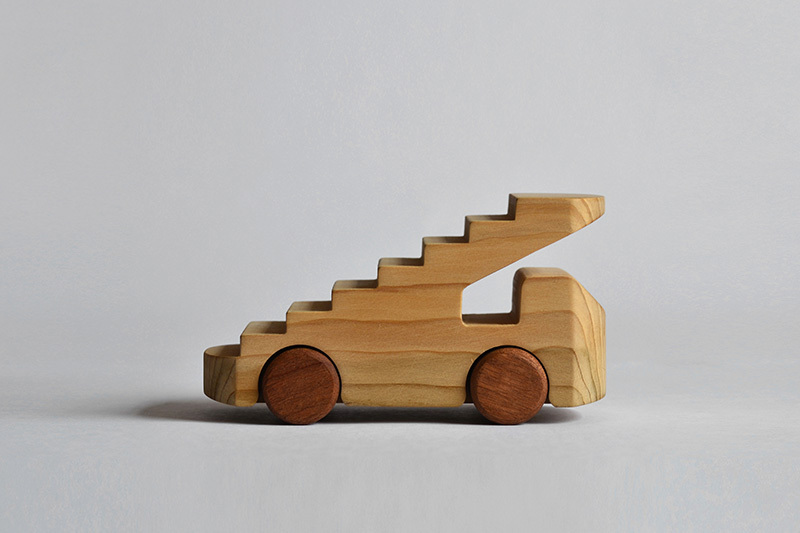 It is a ladder that allows kids to take off into a fantasy world.